Zhengyao “Zeya” Xue, a graduate student in the Food Science and Technology Department at UC Davis, has been awarded a Feeding Tomorrow Graduate Scholarship. Zhengyao “Zeya” Xue, a graduate student in Professor Maria Marco’s lab in the Food Science and Technology Department at UC Davis, was informed by the Trustees of Feeding Tomorrow, the Foundation of the Institute of Food Technologists (IFT), that she has been awarded a Feeding Tomorrow Graduate Scholarship. This year, Feeding Tomorrow received a record number of applications for scholarships and Xue was among the most outstanding applicants. 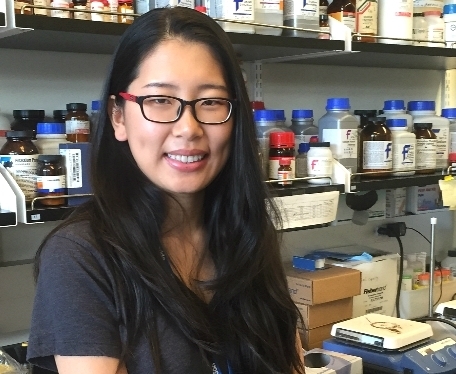 Xue graduated from Nanjing University in China with a Bachelor of Science degree in Biological Sciences and continues her studies at UC Davis with a focus on food microbiology. She is currently conducting research on Lactobacillus casei — a popular probiotic strain — taking a closer look at its transcript level in various matrixes. She is interested in a career related to ensuring food safety for the public, which may include either quality control of existing foods or research and development of new foods. She will have the opportunity to meet the Board of Trustees of Feeding Tomorrow and attend the Feeding Tomorrow Board of Trustees/Scholarship Recipient reception at the IFT16 conference in July. — The Institute of Food Technologists was founded in 1939 and based on the vision of a small group of scientists who believed that communication among professionals involved in food science and technology was essential to the progress of these emerging disciplines. More than 75 years later, IFT has grown both in numbers and in impact. With members from virtually every discipline related to food science and technology, and from more than 95 countries around the world, IFT has become a voice for those dedicated to the science of food. The California Dairy Research Foundation is a proud member and supporter of the IFT.